filled with tropical beauty and fun adventures! of Manzanita in the rain forests of Costa Rica! 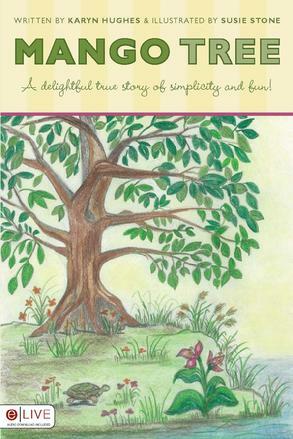 Mango Tree takes the reader back to a time when children entertained themselves. This sweet story of friendship transcends time. I heartily endorse this book and its message of friendship. Click on the imagekind frame below where you can pick out your desired print, size, frame, mat, and covering. Imagekind is a professional online art studio offering high quality printing capabilities and has over 1,000 frames and mats to choose from! While your there, be sure to browse through my other art pieces....enjoy! !